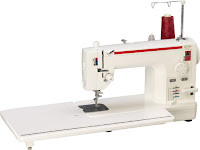 Pink Castle Blog: Which Straight Stitch Sewing Machine is Right for Me? Which Straight Stitch Sewing Machine is Right for Me? 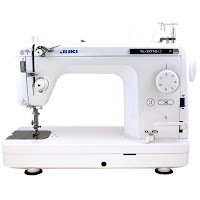 Looking for a straight stitch sewing machine? For those of us that are quilters, we have some basic needs when it comes to sewing machines. We at Pink Castle Fabrics absolutely love our Janome straight stitch machine; it's fast and easy to use! 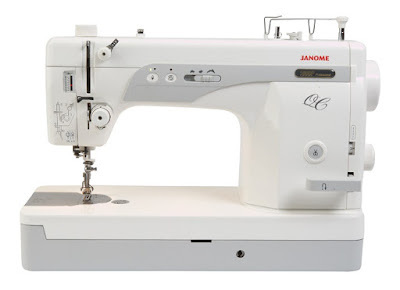 Today I’m going to compare three of the top straight stitch sewing machines on the market: The Juki 2010Q, Babylock’s Jane, and, last but certainly not least, the Janome 1600P-QC. All three of these machines are fast and user-friendly, making them perfect for getting quilts done within a short amount of time. However, each has some difference between them. Let’s take a look at each machine on its own, shall we? an automatic thread cutter switch. Sews 1,500 stitches per minute. 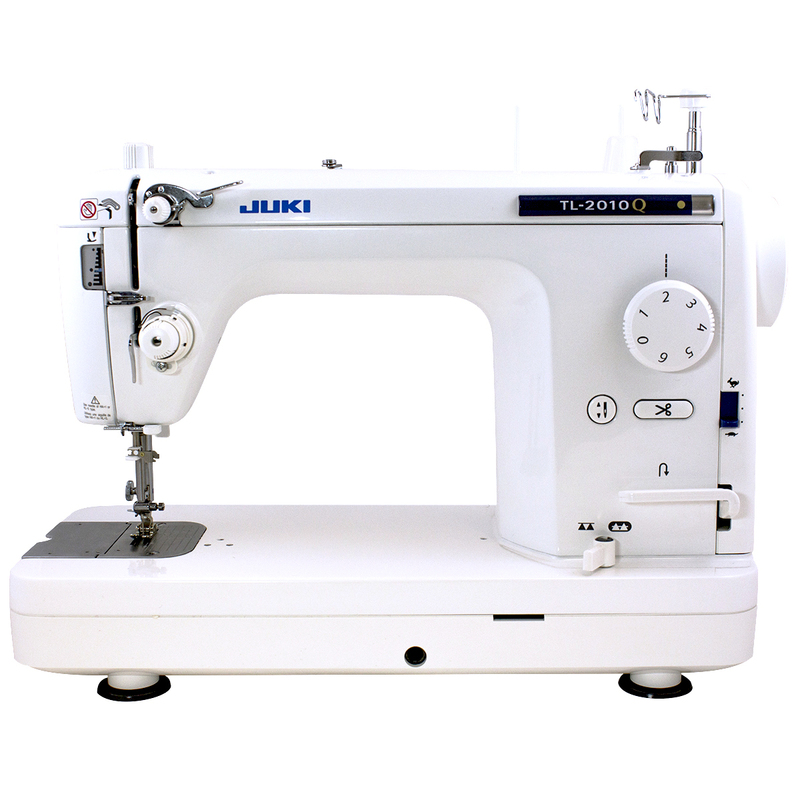 boasts the same 1,500 stitches per minute that the Juki does. an amazing stitching speed of 1,600 stitches per minute! 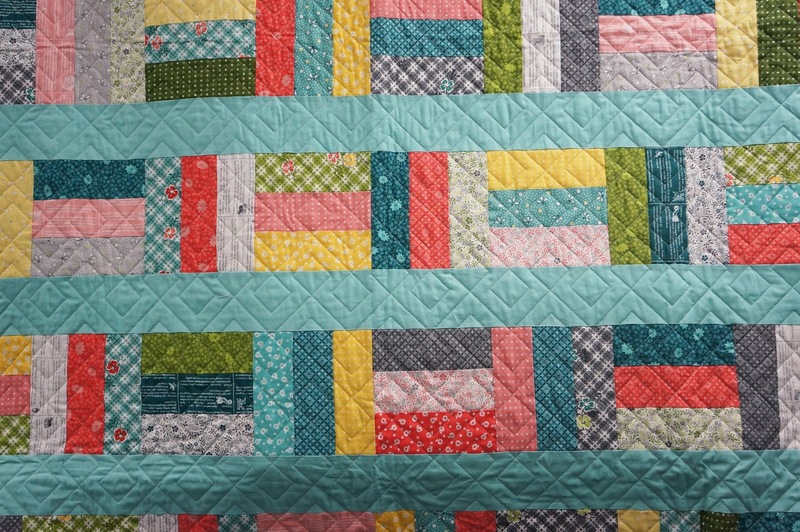 Think of how quickly you’d be able to finish a quilt top! At that speed and the ability to free motion quilt on the Janome 1600P-QC, you can finish an entire quilt quicker than ever before! It's the perfect sewing companion for all quilters, professionals and hobbyists alike. The Janome 1600P-QC is also great for other projects that you want to be able to turn around quickly, such as bags and purses! It's the perfect sewing machine for any project you use a straight stitch for. Carolyn Friedlander, designer of the fabric lines "Doe", "Carkai", and the upcoming "Euclid", has been using her Janome 1600P-QC straight stitch machine to create her pattern "Envelopes" as well as the sham covers titled "Hesperides". These patterns are available for sale on Carolyn's website. Carolyn says: "I love that it's a work horse ready to tackle whatever I throw at it. Also, now that I've rigged up a foot-pedal-controlled thread cutter, I'm in heaven." Brenda Ratliff, Pink Castle's own Queen and designer of the fabric lines "Pie Making Day" and "One Room Schoolhouse", also owns a Janome 1600P-QC. It's the only sewing machine she's been using, that's how much she loves it! 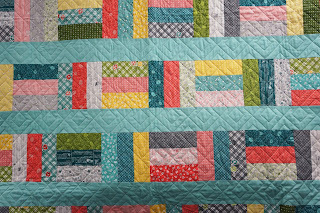 Her latest projects include a Sunset Strips quilt made with her newest fabric line for Spring 2016 Quilt Market, as well as many other projects you can find on her blog, Just A Bit Frayed. Brenda enthuses: "This sewing machine is my favorite! I've been able to cut my work time in half by using the 1600P-QC!" 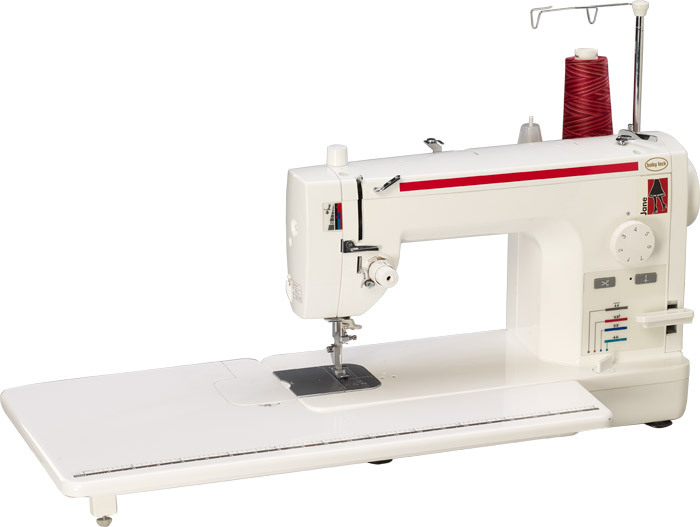 The Janome 1600P-QC is available at Pink Castle Fabrics both online and in-shop. Stop on by during retail hours to take it for a test drive! If you have questions, comments, or concerns, e-mail Molly@PinkCastleFabrics.com.